Ovation Restoration spun off from one of the largest home improvement companies in the United States. We have taken our corporate knowledge and vast experience and applied it to the small business concept. We are a family-owned, locally based home remodeling contractor who provide our consumers with top-notch materials and workmanship, without passing on the high corporate costs, saving our customers valuable dollars. At Ovation Restoration, we value our customers satisfaction and offer a 1-year Warranty on our workmanship in addition to the manufacture's warranty. Ovation Restoration cares about our environment. We use naturally produced or recycled products whenever available. We are careful to dispose of hazardous chemicals or substances in the proper manner. We take pride in maintaining our Lead Based Paint Certification and do what's in our power to keep hazards from seeping into the ground. 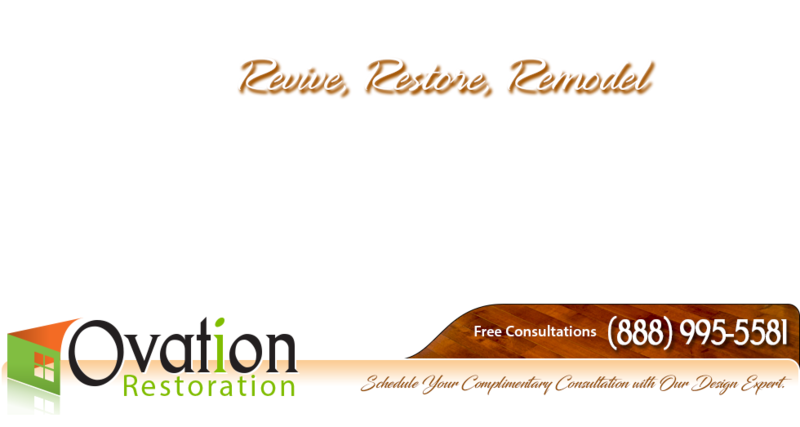 Ovation Restoration is licensed in Oregon and Washington. We are properly bonded and insured in both states. At Ovation Restoration, we strive to exceed the standard of customer service and have earned an A+ rating from the Better Business Bureau.